In most cases, employees can file a claim for unfair dismissal against their employer only after completing minimum two years of service. Previously the claiming period was one year, however it was extended to two years in 2012. This gives the employers some flexibility when it comes to managing and dismissing staff with less than two years of service. Therefore, it is important for employees to be mindful of the starting date of new employees, and keep an eye on any concerns that arise during their tenure. If the services of the employee are less than satisfactory, it is easier for an employer to dismiss the employee during the two-year timeline, of course pertaining to some regulations. It is suggested to meet the employee and highlight any concerns and take notes during this meeting. These notes are important as they are a proof of what was discussed and help in any issues arising in the future. The employee can be offered a decided timeline to make improvements, especially if the issue is performance related. If the employer is unhappy still, then he can proceed towards a quick dismissal. In the meantime it is also important to check whether there is a company policy that affects the employee contracts. In that case, it is important that the employer first ensures that all procedures in the policies are followed before proceeding with a dismissal. Your employer must exercise caution when deciding a dismissal. This is because, for unfair dismissal there is no qualifying length. 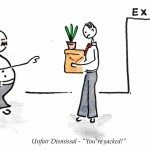 Besides, an employee just short of their completion of two years of service will qualify for an unfair dismissal. 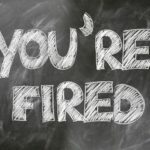 Irrespective of claims of unfair dismissal, employees have a right to claim for wrongful dismissal, such as a breach of contract or not being given a prior notice period etc. In these cases, being fair is not an issue as a contract has been breached. Needless to say, employees are also entitled to be paid for any holidays untaken at the time of termination. It is suggested that employers follow best practices and refer to ACAS code on disciplinary and grievance procedure. An employer who fails to follow the same has a risk of facing a minimum of 25% uplift on compensation. Hence, a dismissal without required notice period may face unlawful deductions from claim of wages or a breach of contract. By following the code, employers add evidence to dismissal and can prove it fair. 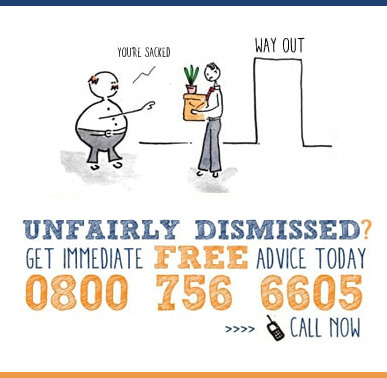 If you have been unfairly dismissed, irrespective of your length of service, or if you think you have been dismissed and need advice on your rights our Employment Law Solicitors can assist with all types of claims. Naturally, we pride ourselves on providing the best possible service to the highest standards, we can provide free employment law advice on all problems.